Arrival at Bangalore.Welcome to one of the most developing metropolitan or garden city of India "Bangalore".Transfer from Airport/ Railway Station to hotel. Visit places like Lal Bagh Botanical Garden, Cubbon Park, Bull Temple, Jama Masjid's, Kempegowda Fort, ISKCON Temple etc In evening you can retire in your lavish hotel room or make your shopping a satisfying and enjoyable by exploring the main shopping center of Bangalore: Commercial Street, MG Road, Brigade Road, etc.O/N Bangalore. After Breakfast leave for City of Palaces "Mysore". On the way to Mysore visit the pageant island fortress of Srirangapatna, "Tipu's Palace". Upon arrival Check in your hotel/resort and spend the reminder of your day at leisure or in evening you can visit to Krishnarajasagar Dam or fascinating Brindavan Garden. O/N Mysore. 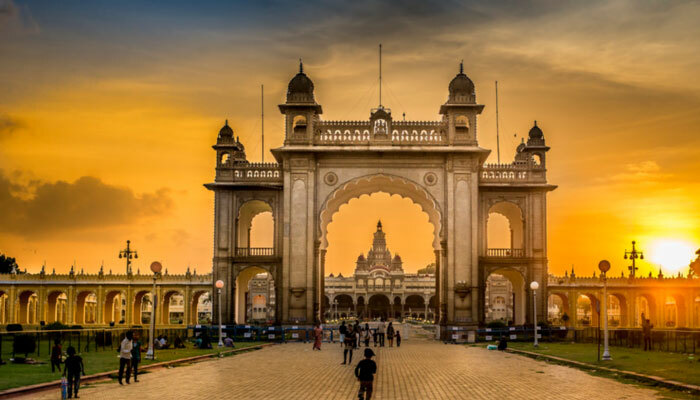 After a light and refreshing breakfast, get ready for a full day's sightseeing tour of Mysore, its straggling Maharaja's Palace ,Later visit Chamundi Hill, wide Nandi Bull idol, St. Philomena's Church, Jaganmohan Palace, Jayalakshmi Vilas, Lalitha Mahal and Mysore Zoo. O/N Mysore. After Breakfast leave for Queen of hill stations and Capital of Nilgiris District "Ooty". Enroute visit Bandipur & Mudumalai Wild Life Sanctuary. Evening one can visit the Wax Musuem, Thread Garden, Rose Garden, Ooty Lake, Botanical Garden, Dodda Betta, Tata tea museum and factory, Ooty house etc. O/N Ooty. After Breakfast leave for Bangalore . Journey ends with exotic memories and stories to be related once back home.